When installing a hubcap it is very important to place it on the car completely and evenly around the entire wheel. 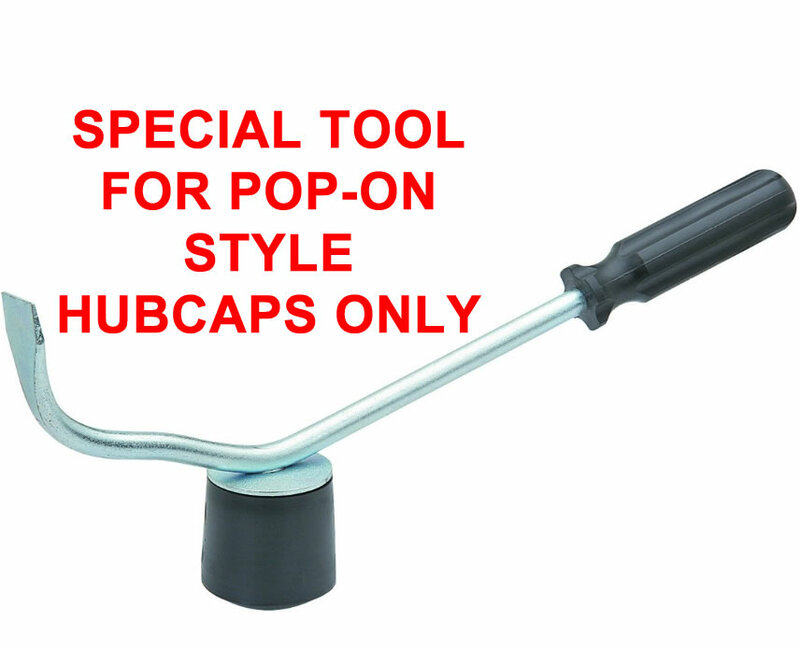 The only way to properly install your POP-ON hubcap is with a special hubcap tool made specifically for this purpose. This wheel cover tool also comes with a wide extractor made to take off your hubcaps without cracking them. The price without any other purchase is $25 each, but with a hubcap purchase is only $10 each!! DO NOT install with your hand only because you risk damaging your hand and you will lose your hub caps due to improper installation!